Do you have a crush on the little red-haired girl in class, but you just can't figure out how to get her to notice you? Your baseball skills are okay, but they probably aren't wowing anyone and drawing the kind of attention you're looking for. You're not a bad dancer, but you only know a couple moves and they can get a little repetitive. Trying to impress her by kicking a football is completely out of the question. You do have a pretty cool dog that could do the trick, but he's such a showboat that he'll probably just end up stealing your thunder. Oh, good grief! 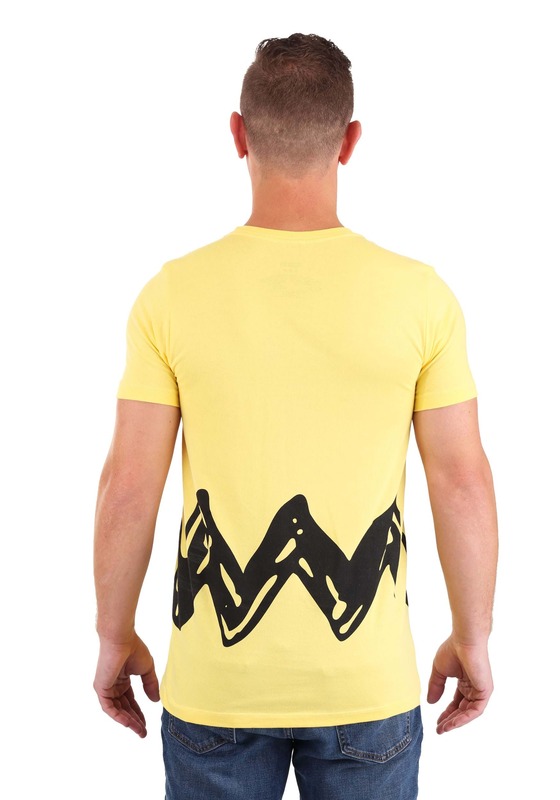 If you are identifying too much with Charlie Brown when it comes to girl problems, we suggest giving this I Am Charlie Brown Mens Shirt a try. The bright yellow color and the big zig-zag stripe across the middle are bound to make her notice you! 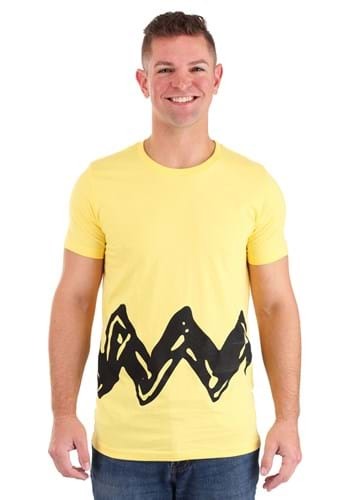 Looking like Charlie Brown is a good idea too since he is a faithful friend and just an all around good guy, even though he can be a bit of a blockhead sometimes. So don this shirt with pride and declare "I Am Charlie Brown!" If this still doesn't work and get the little red-haired girl to notice you, we hear that Joe Cool has a few suggestions for you!